Police charged our client with an aggravated burglary. They attended a family home where a Family Violence Safety Notice was in place. The client had been involved in a verbal dispute with a family member on the premises. Police then decided to issue a Family Violence Safety Notice on the client, as per the Family Violence Protection Act 2008. Once released on the Family Violence Safety Notice, however, our client did not have any clothes, wallet, keys or phone. They also did not understand the consequences of returning to the family home. The client returned to the home and began collecting belongings. The client and a family member then got involved in a further verbal argument. The police attended the address again and arrested our client. They charged them with Aggravated Burglary Intention to Assault and a breach of the Family Violence Safety Notice. They took our client into custody, and they could not provide an appropriate bail address. Slades & Parsons solicitor Ms Dubroja secured a residential rehabilitation facility place on behalf of our client. The court granted bail at a further hearing. Careful consideration of the evidence supported Ms Dubroja’s view that the charge of aggravated burglary could not stand. That is, the client did not trespass or intention to assault when they entered the premises. However, the prosecution rejected this, and proceeded with the charge. At the committal hearing, cross-examination of prosecution witnesses supported the view of Ms Dubroja that the charges could not stand. The Magistrate agreed with Ms Dubroja and dismissed the charge of aggravated burglary. 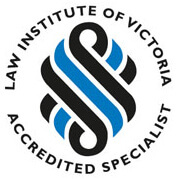 Family violence is a highly complex area of criminal law. Interactions between family members may result in many different criminal charges. Slades & Parsons Lawyers are highly experienced in representing clients in matters involving family violence and related charges. We regularly represent clients facing charges arising out of family disputes. Careful analysis of a client’s situation and of the prosecution case are essential to the expert services that we provide. Our lawyers are happy to discuss any questions you may have regarding family violence or associated charges.